Inviting a curator to an institution’s collection could mean various things: A dialogue or a monologue—emptying all the existing narratives to define them with new meanings or reshuffling them around. These collaborations require horizontal allies and generosity from both sides—an attempt to find the undercommons in a world of broken relationships. Borusan Contemporary has invited seven curators in the last six years to its ever-growing collection of new media art to unlock these probabilities. This series of conversations is a curious response to this cultivating network of associations and relationships, marked with site-specificity and temporality, in a city that is always in flux. NC: Anything that surprised you about Borusan Contemporary collection or their haunted building? DEC: Actually, I was familiar with the Borusan Contemporary Art Collection because many artists that I was working with were part of the collection. Borusan Contemporary was known for its continued support of media artists at a relatively early time for this genre. 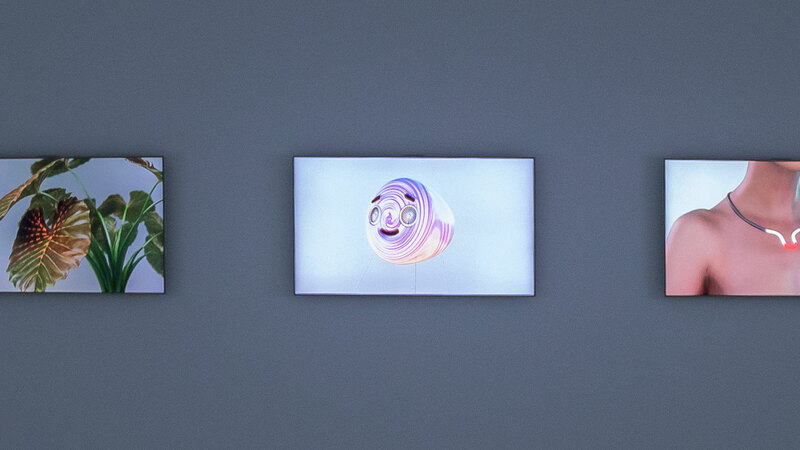 Choe U-Ram’s exhibition, Anima, was also held after their continuous collections of his works. When I first visited to the Borusan Contemporary building, I was impressed with how those collections were carefully presented throughout the Haunted Mansion as an “art in life” museum within the offices of Borusan Holding. 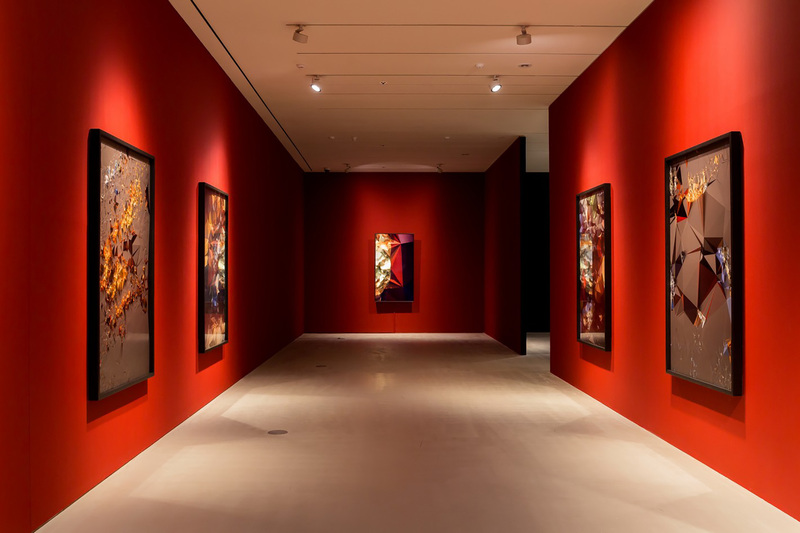 Because of this unique setting, I had to consider two different types of audiences—the employees who see the exhibition repeatedly and the visitors who come to see the exhibition on the weekends. 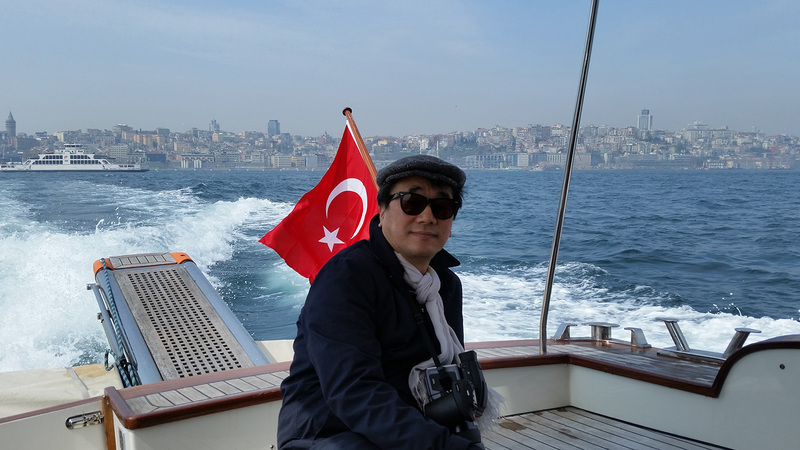 U-Ram’s exhibition included his works from the Borusan Contemporary Art Collection and additional artworks which were carefully selected to be suitable for both audiences. His various works from Jet-Hiatus to Merry-Go-Round were exhibited to give an opportunity to understand an extended period of an artist's activity and many of his drawings were included to share the artist’s creative process. 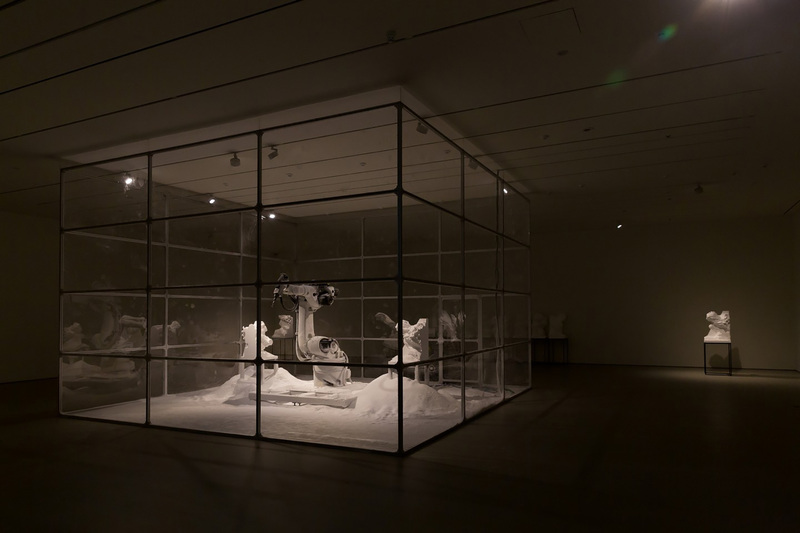 Especially, some of the works that dealt with more metaphorical and philosophical reflections were added for those repetitive audiences so that they could find the hidden layers each time. NC: I was curious about your relationship to the building’s architecture as in your curatorial practice, you experiment with the “space,” thinking about scientific knowledge and historical narratives. You work with unconventional spaces such as telematics, virtual and mobile spaces. What possibilities do these experiments bring to your practice? DEC: When I started working at Art Center Nabi, which has been at the forefront of bringing new technology and culture into the Korean context, I was open to any experimentation with new types of art. For example, one of the inaugural events of Art Center Nabi in 2000 was a telematic event in a virtual world. There was no Skype or Second Life back then, so I had to research on how to build a 3D virtual environment and created our Virtual Art Center Nabi under the theme of "Mind Bridge”. We asked many artists, curators, and professionals all around the world to gather and celebrate the new realm of digital art inside the Virtual Art Center. Since then, I have been trying to expand the experience, interested in how you can connect to a broader audience through the various projects online, mobile, and in urban spaces. I set up the first mobile gallery called ⓜgallery on the SK Telecom's mobile network, curated various exhibitions at the urban screening gallery called COMO, and produced several urban network projects between different cities. Come Join us Mr.Orwell! 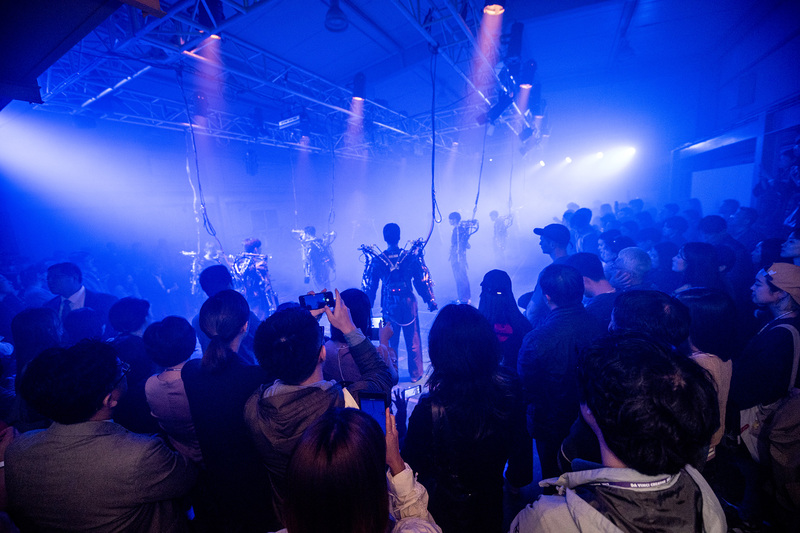 was opened with a live telematic performance, in which “Tomorrow City” of Incheon and “Federation Square” of Melbourne, were connected, and presented an invaluable opportunity for the people of the two cities to mingle and create a community network. 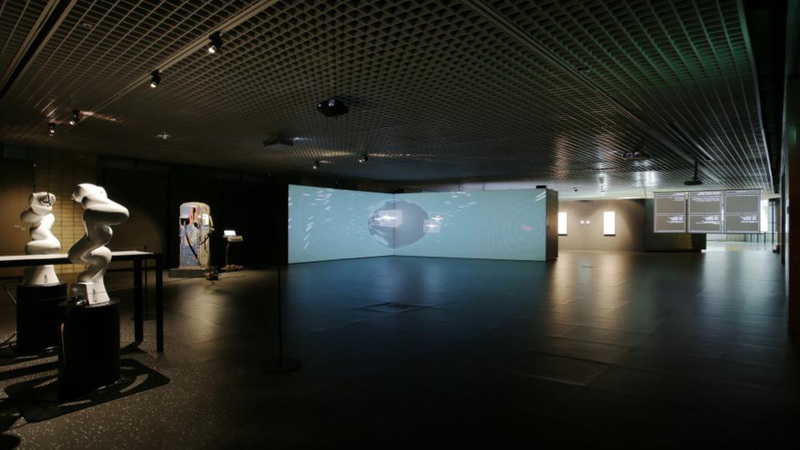 Also, when I was curating for both Mediacity Seoul Biennial in Seoul and Zero1 biennial in San Jose in 2012, I produced a telematic installation called Tunnels Around The Worlds by Maurice Benayoun which connected 6 different cities including Seoul, San Jose, Paris, Hong Kong, Montreal, and New York. I've always believed that sharing experience is very important, and it’s no longer just about how you can be connected; it’s about why you are connected with other people. 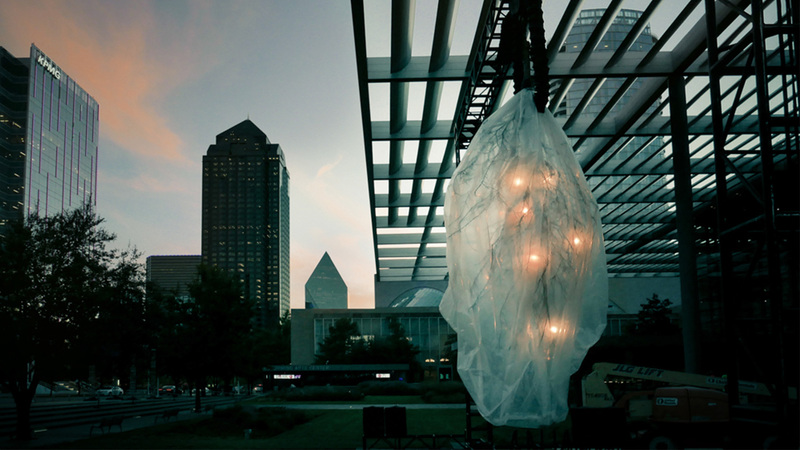 Recently, for Aurora Light-Video-Sound Biennial, through the reformulation of time and space as a responsive environment, I turned a public space in the city to become interface to reassess the world we live in and foresee future. These experiments in unconventional spaces blur the boundaries for the types of challenges I'll deal with in terms of space. Furthermore, even when I curate an exhibition in a conventional space, I try to expand the experience by adding certain types of storytelling or connecting to virtual and augmented components. NC: Could you tell us more about this storytelling characteristic in your work? I was reading Glissant’s text Poetics of Relation the other day, and I feel like storytelling, poetics, and other non-conformative ways of existence do have a lot of potential for developing alternative methodologies for history-writing . DEC: As a curator who started curatorial work with media arts, I always consider the audience as a crucial factor in the exhibition. Interactive media arts cannot be completed without the audience’s participation. I have explored how to nurture meaningful relationships between the audiences and artworks and also between the audiences. One of the ways which I found is to be a storyteller to play with a nonlinear interactive environment to invite the audience to imagine their own alternative narratives. It is often abstract and hidden to help the audience’s engaging experience. But, those earlier years when interactivity itself was not common experience in the exhibition space and the audience tended to have a passive mode, it was more actively proposed. In 2005, I wrote a storytelling-type of introduction for a series of media art exhibitions for children called Dreaming Butterfly at Art Center Nabi. During its guided tour, I learned how it broadened for the audiences to create their own alternative narratives based on my storytelling. Later, the series was invited to museums run by government and retitled to A.L.I.C.E. (Alive Liquid Interactive Creative Eco-Friendly) Museum as a collaborative project and the storytelling-type of introductions were developed further and published as a children's book. Whereas the artworks are main component of the storytelling in the neutral museum space, the spaces which have their own narratives themselves emerge as the center of the storytelling in site-specific art projects. 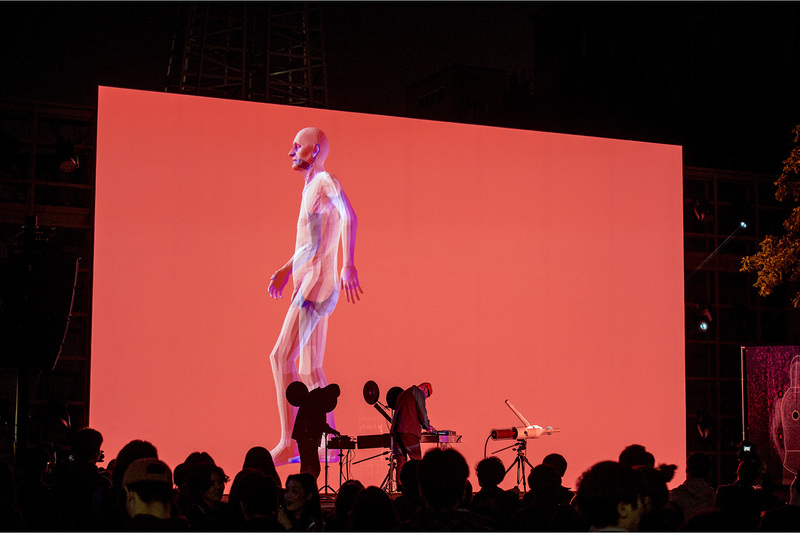 For example, in Come Join us Mr.Orwell!, two cities with two different histories and cultures connected through the telematic performances on the networked screens became a platform to build alternative emotional narratives by welcoming the citizens from two different cities. Also, through the Aurora Light-Video-Sound Biennial, the city became not a public space but a ‘common place’ enhanced with shared memories and the culture of the space in the city has been changed. By various use of ever-evolving technology, I have tried to create a project as an open platform where the audiences to reflect or respond by interacting with their alternative narratives. NC: What have you been reading / working about recently? Is there anything that got you excited? DEC: I have been working on several projects related to algorithmic perspective and society. In 2016, there was a match between Google’s AlphaGo vs a world Go game champion in Korea. Through that event, the public was interested in Artificial Intelligence but at the same afraid of the machine which can learn and win the human. To broaden our understandings about artificial intelligence and to facilitate diverse discussions about humanity, I curated an exhibition called Why Future Still Needs Us: AI and Humanity at Art Center Nabi and later invited to QUT Art Museum during the Robotronica Festival.It was not about making a hasty value judgment on creative applications for artificial intelligence as they were still in their early stages. It was more about raising awareness about the creative role of human with regards to input, categorization, management, and assessment at the early stage of processing data in the age of Machine Learning and AI. Through the research on machine learning and AI, I became interested in how the data was changing our way of thinking, so I curated another exhibition called Neotopia: Data and Humanity at Art Center Nabi in 2017. The exhibition focused on alternative data as a way to enable conversation, solidarity, and participation on the basis of respecting the difference of the others. 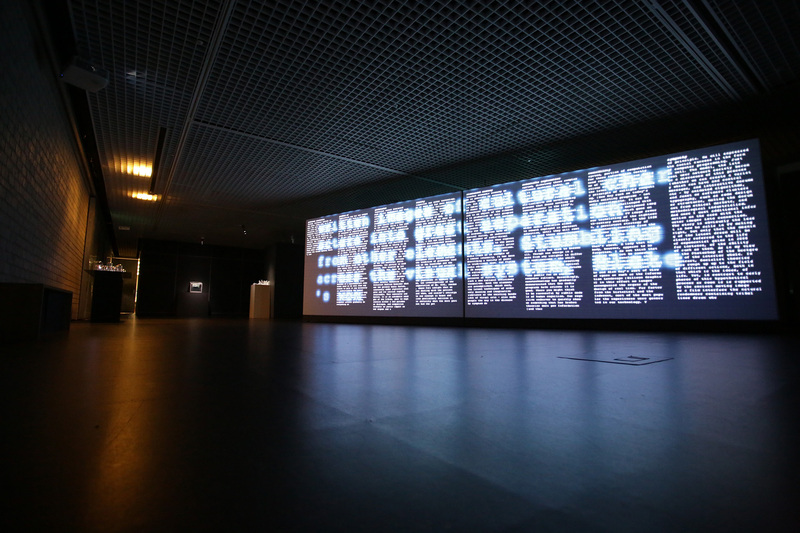 Before all of our data commons have been privatized or policed, the exhibition imagines and questions concepts of data to foster the humanistic life of individuals and the value of the community together. Currently, I am working on a touring exhibition called Quayola: Asymmetric Archaeology which reimagines the past and rediscovers nature through algorithmic perspective. The first exhibition is held at Paradise City Art Space in Korea and next exhibition will open at How Art Museum in Shanghai in March, 2019. The past is revisited in relationship with present and future - exploring asymmetry that completely excludes humans’ subjective views and leaves machine processed objective ideas. Through these processes, classical art forms are detached from iconographical semantics of the past to be regenerated into digital abstract works. In addition, familiar visual tropes of nature are transformed into a new artificial landscape engendered by machinery in collaboration with the artist. Our banalities are freely detached from their original contexts to become new objects of contemplation through the peculiar mechanism of machinery and the complex algorithms of the artist. The algorithmic gazing is changing not only politics, economics, society, and culture but also our epistemology. We are living in the era when the machine is getting closer to human and human is inevitably influenced by machine-aid information. My interests on these radical phenomena lead me to also curate several exhibitions related to post-human such as Da Vinci Creative 2017: Uncanny Valley? and #body#morphs at the Gallery Space invited by the ArtJaws at the Ars Electronica Festival 2018. Recently, I have been working also closely with the synthetic biology artist, Tal Danino, to understand deeply the current era when even the nature can be designed by algorithmic machines. I hope that understanding of algorithmic perspective and society will guide me to take a step closer to true humanity in collaboration with machine. 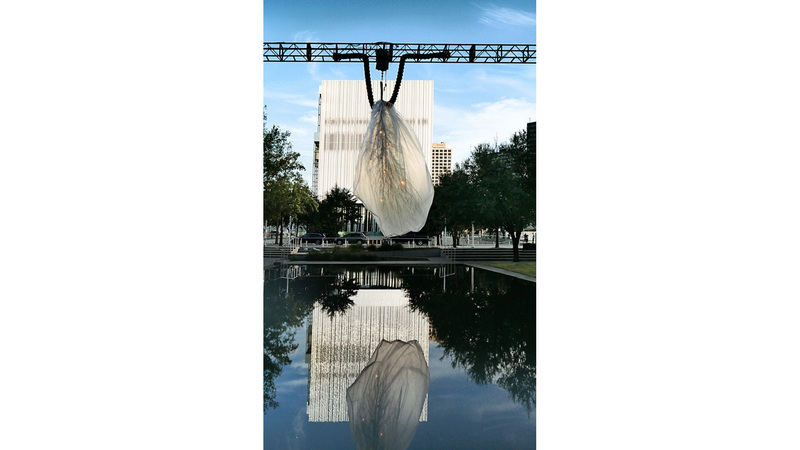 NC: How do you envision the future of the curatorial practice? 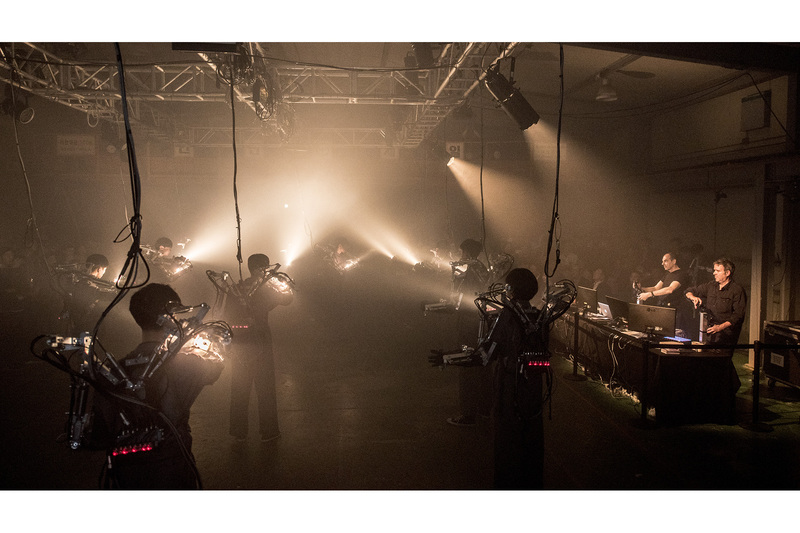 How will new technological improvements affect the relation between the audience and the artwork? Will the role of the curator transform? DEC: The future of the curatorial practice would be also in collaboration with the machine. Actually, this is not future but already present. Google Cultural Institute with artists and engineers already launched several experimental projects related to new concept of curation. For example, t-SNE Map by Cyril Diagne, Nicolas Barradeau and Simon Doury maps artworks using Machine Learning and creates unconventional linkages between artworks. Also, X Degrees of Separation by Mario Klingemann and Simon Doury helps to discover the hidden paths between two different images using Machine Learning. The creativity of curator is being challenged in this era of the “algorithmic serendipity” based on Machine Learning. The conventional curating to select, organize, and present the artworks is taken by the algorithmic machine. The curator needs to find a creative role to cultivate alternative serendipity by redefining new values in this augmented future, blurring the boundaries between the real and virtual, material and immaterial, visible and invisible, and machine and human. Naz Cuguoğlu is a curator and art writer, based in Istanbul and San Francisco. 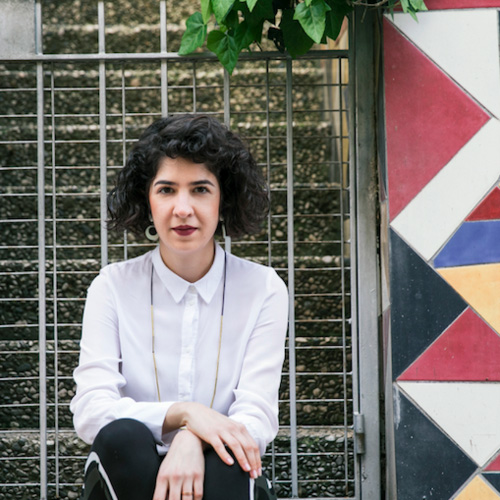 She is the co-founder of curatorial collective “Collective Çukurcuma” and research project IdentityLab; and former projects manager of Zilberman Gallery. Her writings have been published in various art magazines, including Art Asia Pacific, Hyperallergic, and Istanbul Art News. She received her BA in Psychology and MA in Social Psychology at Koç University, and currently pursuing her studies in Curatorial Practice department of California College of the Arts. Selected exhibitions co-curated by Cuguoglu are: Anger is a solution, if anger means kittens (D21 Kunstraum Leipzig, 2018), Ghosts (Red Bull Art Around Arnavutköy, Istanbul, 2018), Restless Monuments (Zilberman Gallery, Istanbul, 2018), House of Wisdom (Various spaces in Nottingham, 2018; Public Program of 15th Istanbul Biennial; Framer Framed, Amsterdam; Dzialdov, Berlin; 2017), Survival Kit (Cultural Transit Foundation, Yekaterinburg; Space Debris, Istanbul; 2017), Asymmetric Kin (COOP Gallery, Nashville; Mixer, Istanbul; 2016), and After Alexandria, the Flood (5533 and Recai Mehmed Efendi Library, Istanbul, 2015).